Afeeding trail was carried out to study the effect of varying ratios of dietary carbohydrate to protein (CHO/CP) on growth, feed conversion, protein and energy efficiency utilization, body composition and cost-benefit analysis of marine rabbitfish, Siganus rivulatus, fingerlings. Ten net cages, each holding 0.5 m3 with dimensions of lx Ix 0.5 m were used to stock 10 fingerlings with an average of 1.1 g/fish initial weight. Two sub-optimum protein levels (35 and 25 % CP), each having two varying CHO/CP ratios (0.6; 0.9 and 1.6; 1.9, respectively), were compared with diet containing 44% CP that recorded as optimum level for S. rivulatus species by Shalaby (1998). Corn starch and a-cellulose were used instead offish meal in the isocaloric experimental diets. Fish were fed the experimental diets at rate of 6% of biomass daily, six days a week for 84 days. Fish were weighed every two week intervals and feed amounts were adjusted on the basis of the new fish weight.Results revealed that no significant differences (PO.05) were observed in growth and feed conversion between varying CHO/CP ratios. 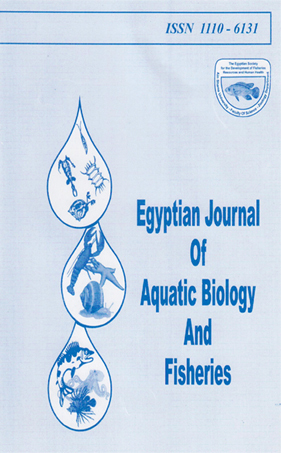 Although protein sparing effect occurred at two sub-optimum (35 and 25% CP) protein levels, the maximum sparing of protein was found when fish were fed 1.9 CHO/CP ratio in diet containing lower protein (26% CP) and higher carbohydrate (50.13% CHO) levels based on feed conversion and protein efficiency ratio. PER and PPV% improved as CHO/CP ratio increased. Higher PER values were obtained with diet of 1.9 CHO/CP ratio. Results show that a ratio between 0.6-0.9 CHO/CP in diets containing 35% could be recommended to spare about 7-8% protein by carbohydrate. However, 22% carbohydrate could spare about 18% protein when 5. rivulatus fed low dietary protein levels. In addition, cost-benefit analysis indicated that protein-sparing effect of 1.9 CHO/CP ratio at low protein level was economically superior to 0.6-1.6 CHO/CP ratios.